Here’s the deal. I’m HERE FOR IT. Whether I’m following you to your next vacation, exploring a national park (Yosemite and Joshua Tree are some of my favorites) I love being able to tag along and just capture you guys in your element. Let’s leave behind the stiff poses and jump into adventure. Are you going cliff jumping in foreign lands? Or are you planning on jumping into the lake in your home town? Either way, I’m here. The fun part about adventure sessions is that they cover an experience that you two have that describes who you are completely. It’s my job to capture it. Right in my backyard are tons of National Parks with breathtaking views. Whether we’re looking at steampots and giant waterfalls, or exploring the gorgeous mountain views and streams in a perfect summer at Grand Teton, I’ll be right there alongside you. What’s great about this is that I know all the hot spots and good food around town. If you want to make a day-trip out of it, you know we’ll be eating food at the best spots and I’ll show you the coolest locations to explore. These sessions are only a couple hundred more than my engagement packages, and they’re such an investment with the stunning images you'll get back. 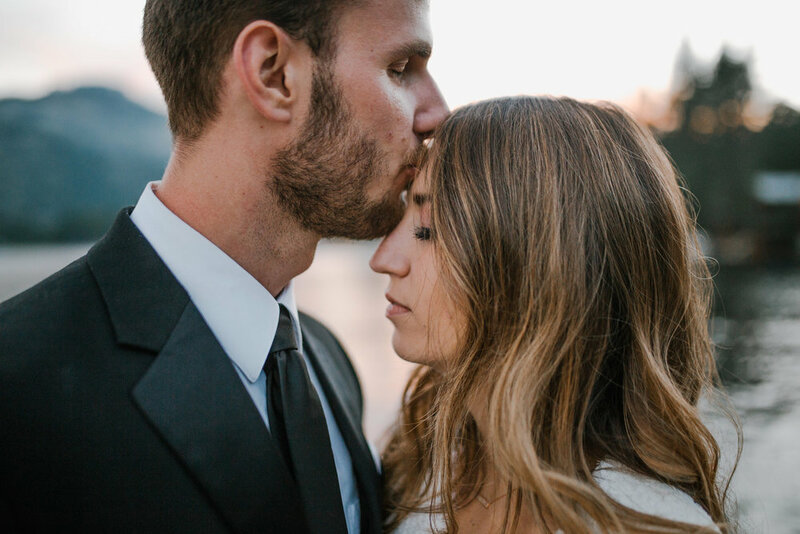 What’s great about these packages is that you can use them for any type of session- whether you’re wanting to capture bridals at Horseshoe Bend in Arizona, set your sights hiking in the Grand Canyon, explore the rocky and moody shores of Oregon, I’ll capture it. I always include a free 1-2 minute video of your adventure, thrown in for good measure. Explore the incredible country you’re in, and love it as breathlessly as you love your partner. Whether it’s the early morning of your honeymoon, as you explore the intimately woven paths of a new country, or if you’re on your next adventure with your family, I’m there for it. I’ll capture your moments in the most exotic places, so that you don’t have to take out your phone- instead, you’re focused on making memories of your days and immortalizing them with breathtaking, candid images. I’ve traveled to Ireland, England, France, Germany, Switzerland, Italy, Austria and Wales. Um. Hi. I travel. And I love doing it. I try to keep travel costs low so I can really offer an experience to clients all over the world. I'm a huge advocate for destination weddings. This past year, we've shot all over the country- Los Angeles, Colorado, Philadelphia, New York, Lake Tahoe and oh so many more. We've got more weddings this year located in Oregon, Southern California, Wyoming, Utah, Idaho and we're always looking for more. Flying me out to shoot your wedding is an honor- seriously. I love being able to really showcase your day and shoot from the heart. My husband and I fly all over to accommodate you. There are a few places that are on my "bucketlist" where I give a $400 discount off of any package. I also offer international discounts. If you live in any of these places and are looking to hire me to shoot your wedding, I'd love to offer you a great deal, involving the cost of travel expenses and half off of a package. Let's create beautiful memories in the most beautiful places. Let's see if your wedding could get you a great deal!